A full-sized tech-mod which adds compact liquid conduits, energy conduits and redstone conduits, power generation, machinery, remote area access, transceivers and more. Re-worked conduits into new layout, because of this, this patch is not backwards compatible. Update by Novamanga not 100% sure what he did but from the looks of it most machines I was struggling with (the adv ones) and various items have been done. Gave Infinity Bimetal gear some noise so it differentiates from Iron gears from other mods. Blockstates folder is no longer required and if present from a prev BDCraft download will cause missing textures on the powered spawners. Working on Enhanced machines, the indents are causing me headaches (see to do list at bottom of this post). All conduits have been retextured, since these conduit textures are different size and shape to any previous Ender IO build this makes this release incompatible with any previous version or release of Ender IO. Thanks to CyanideX for the texture inspiration. Added base textures for simple machines with existing borders and animations (still to work on the borders and animations but ran out of time today). Reworked a lot of GUIs they are by no means complete yet. 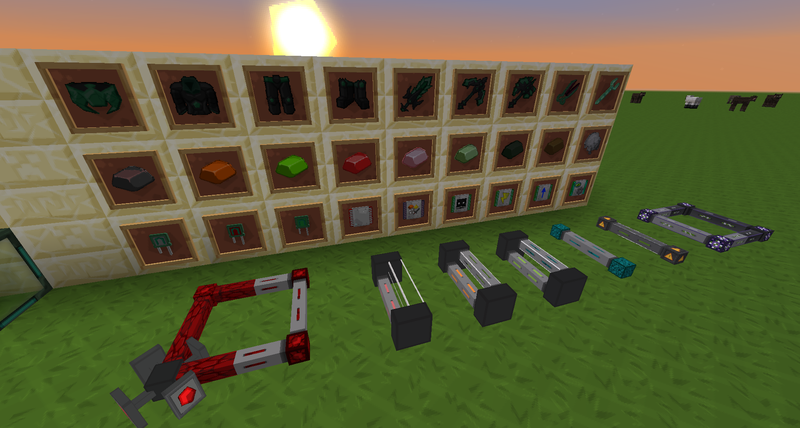 All prev items ported over - some new stuff done (thanks Nova), some still to do. Not happy with the power bar being black although the updated mod works off infinity power which is harvested from bedrock. Kinda fixed the magnet, it's still not right but better than what it was. Redownload, for now (until tomorrow) it has baubles in the zip. This is by no means finished but I spent the last 8 hrs tidying up and fighting with the 3d models in the blocks. The Download contains the JSON files, please retain these as they contain fixes and preferences to the textures. I'm aware the magnet is broken. Not even going to try and explain what's changed there's so many little bits here and there particularly GUI related. However this version does come with EnderCore since the widget buttons moved there. It's likely that the download for EnderIO v2.3.0.407 will work with slightly older versions when EnderCore came into effect. Unless I missed something this will likely be the last update before the next major release of EIO. Updated to latest version with new cap banks (thanks Novamanga) this is now version specific, so make sure you choose the correct one. And AE conduits are back just to confuse matters. 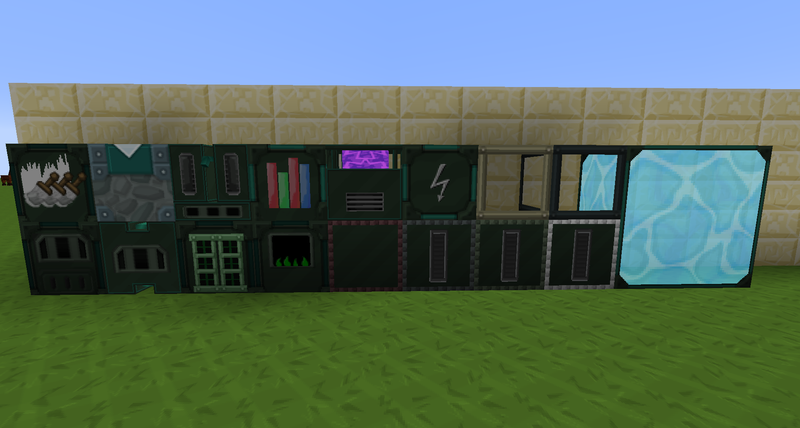 Blocks - now those of you that know me, know I'm not very good at block textures, I've experimented with the Alloy Smelter, not sure I like it and yes you may have seen this texture in Thaumcraft. This gets the NEW download link as the widgets changed partway through for the Yeta Wrench, when Crazypants removed the AE one and added the gas one. 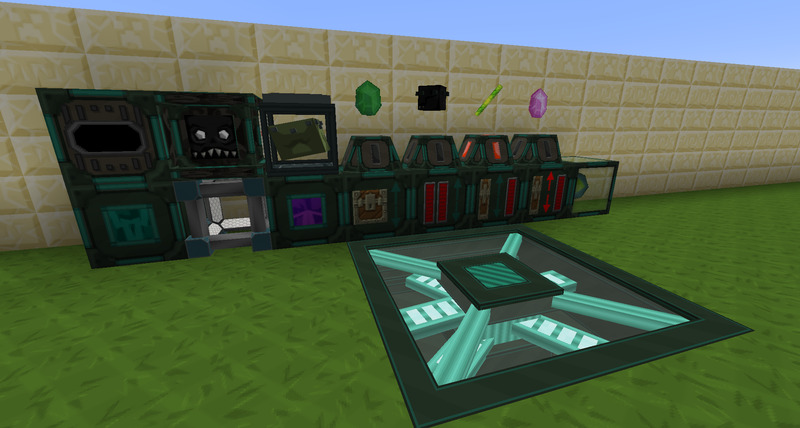 The NEW download has some EnderIO 2.1 WIP textures, if you use 2.1 you may see some partly textured blocks. 2.1 is going to be difficult to texture as Crazypants has joined the cut/stretch/hacknslash textures together group. Redo textures for Sag Mill, Slice N Spice, Sterling Gen and all buffer blocks (new indents causing textures to look bad). Last edited by b0bst3r on 28 Nov 2018, 16:29, edited 69 times in total. Bronze, tin, copper, coal dusts wrong colours please match with another mods and keep uniform. Gold, Iron dust wrong sizes. Please don't package original textures in a download, if someone takes the 64x and downsizes it the original textures turn into blobs. You've items in the resource pack no longer used by enderIO (like blue steel), so you can remove a lot and make the work lighter. I don't it's compulsory to use the same dust colour? Do you?? Blue steel is no longer in EnderIO? Ok will fix. While it's not compulsory to use the same dusts/ingots/ores it does look somewhat dreadful in NEI when a recipe starts doing it's weird little disco dance show. It also helps people to easily see what's what. If all the "copper dusts" are the same texture then you can easily associate it from pack to pack. Moreover, it just simply makes more sense, as you're not drawing new textures, you're just recolouring other textures. If you'd sat down and designed a brand new dust then fine, but you're not. One thing i've noticed is the new Item Conduit and Empowered Item Conduits have glitched textures (purple/black blocks). I'm using the old 128x version, so you may have already fixed this. Lower resolutions would be cool to be able to test the new fixed stuff. Will get to them during christmas. Last edited by Rockawill on 21 Dec 2013, 10:44, edited 1 time in total. I've been working on this mod as a "pet" project trying to texture my first complete mod, however what I always knew is that I don't possess the talent like most of the other elite texturers who texture for this pack. So here's what I did, feel free to take what you want from it or use it in its entirety, I claim no groundbreaking new textures and have taken a lot from other mods. ** Removed link since it's really old and not relevant anymore. I've also created some of my own (for the first time). Last edited by b0bst3r on 14 Jan 2017, 04:05, edited 5 times in total. Thank for the hard effort.